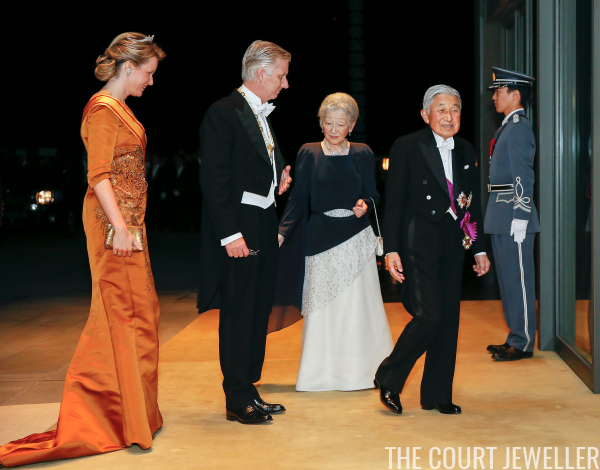 King Philippe and Queen Mathilde of the Belgians arrived in Tokyo on Monday for a state visit to Japan. 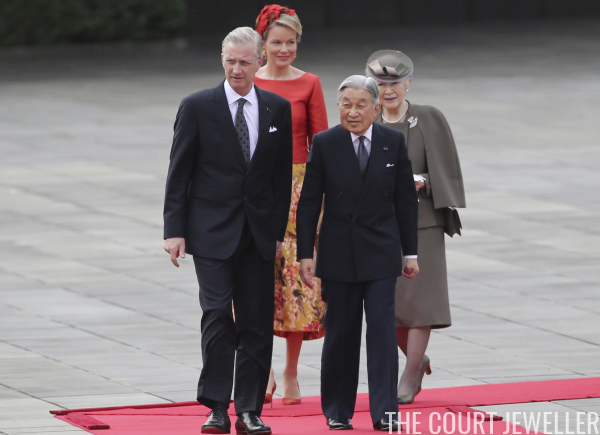 Luckily for us, there were some interesting jewels on show on the first day of the visit from both the Belgian royals and their Japanese counterparts. Let's have a look, shall we? 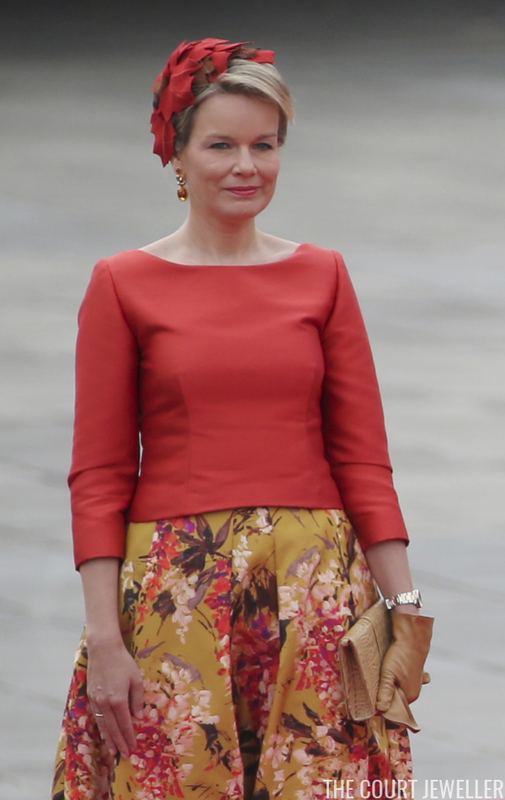 Queen Mathilde's major jewelry moment at the official Imperial Palace welcome ceremony was a pair of large statement earrings. You can also spot a watch on her wrist, plus a simple ring on her right hand. 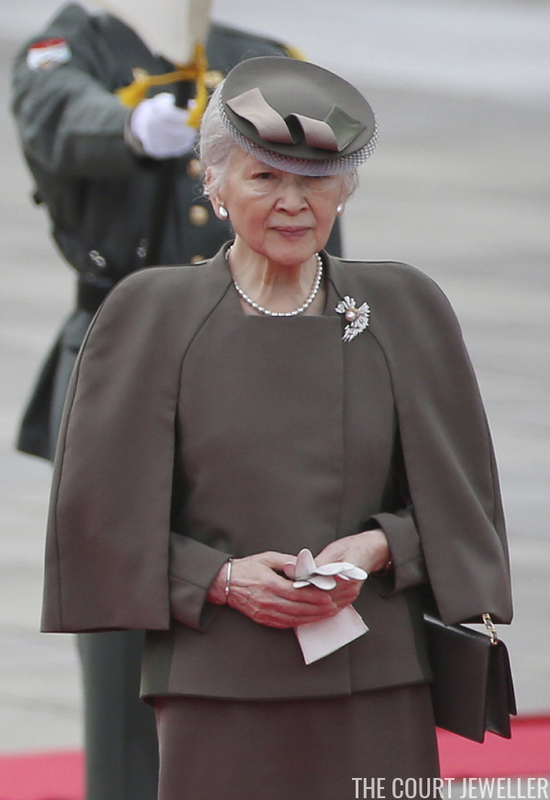 Nobody could top the chic elegance of Empress Michiko's jewels at the same event. She wore pearl earrings (in an interesting shape), a pearl necklace, and a stunning modern brooch set with a large central pearl. 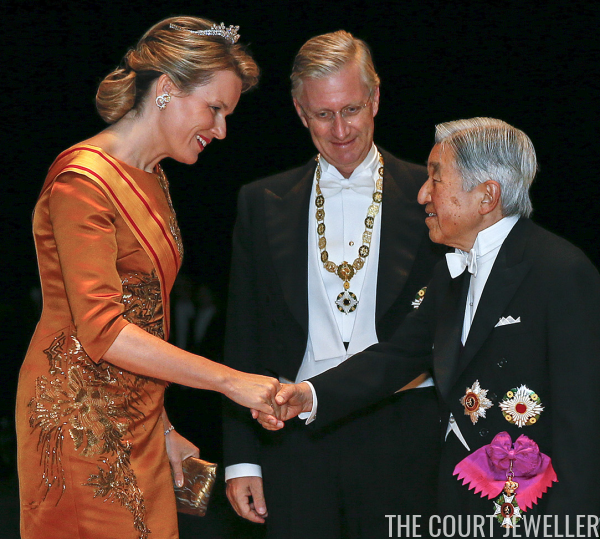 At the state banquet last night, there were major diamonds on display. Mathilde wore the Wolfers Tiara, which she inherited from the late Queen Fabiola, plus her own white and yellow diamond earrings. She's had the earrings in her collection for more than a decade. 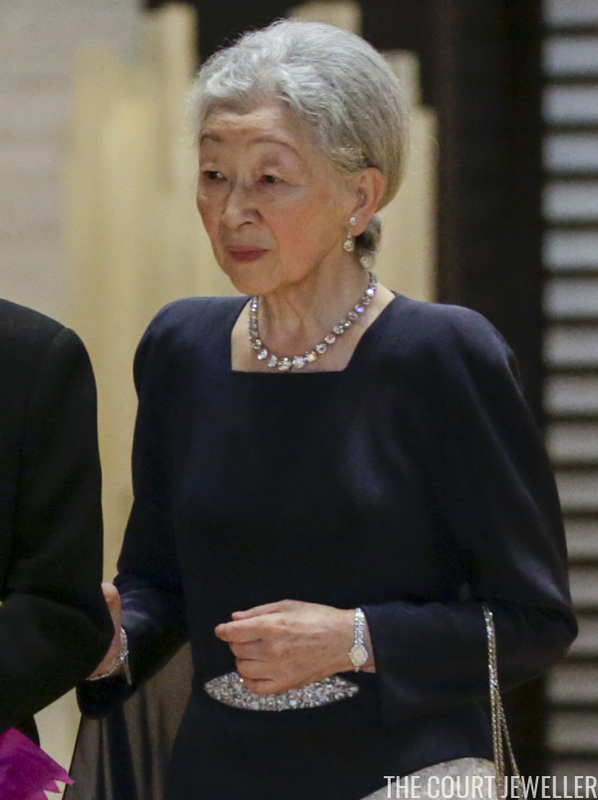 Michiko has long since stopped wearing tiaras, reportedly because of pain issues with her neck and back, but she still sported a bit of glitter at the banquet. 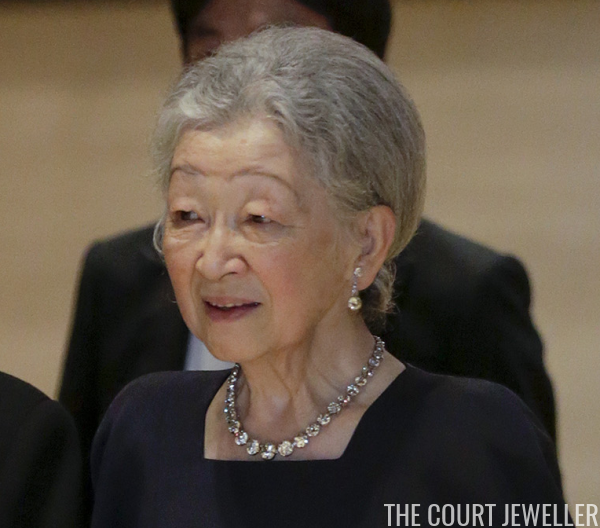 She donned the usual diamond earrings worn by Japanese imperial ladies at court, plus an enormous diamond riviere. She also wore a diamond evening watch on her left wrist and a diamond bracelet on her right. Even more sparkle came from the embellishment at the waist of her evening gown.